Joe, I love what you did with both the MiGs! The natural wood and bare metal finish on the -3 is exquisite. It seems like smoke and mirrors, but painting NMF (Natural Metal Finish) (or some people call it Bare metal finish) is actually not that tough once you get used to it. It's one of those things that the more you do, the better you get. The paints have to be sprayed slowly and in a mist. It's not like normal paint where you use 2 to 3 passes with the last one fairly wet. The Metalizer paints take many misting coats, which build up slowly. There are folks who are extremely good at NMF and they can explain it much better than I can, and are much better at it than me. But it's one more thing that makes modeling the joy that it is. It opens up a lot of doors. 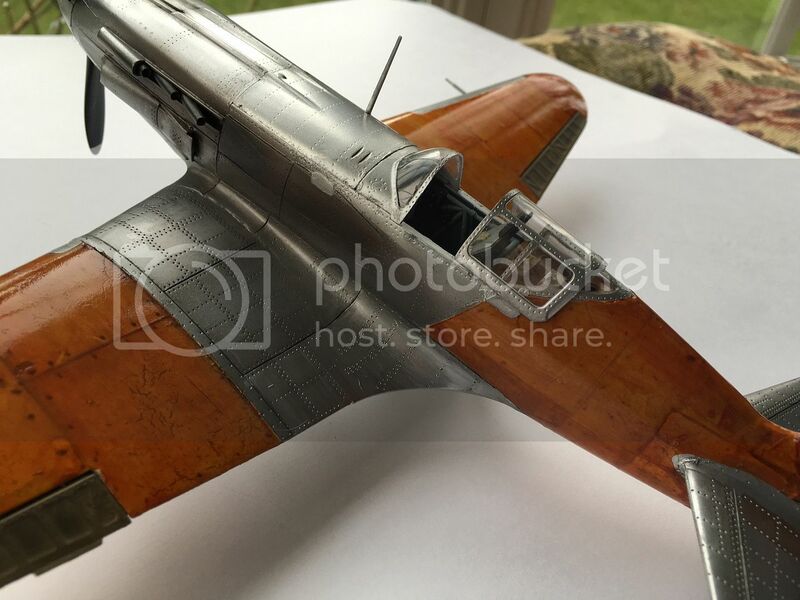 There are some amazingly talented modelers that submit to this site as well as others. That's a great thing. It helps others gain interest and ideas into the hobby that we all love. It keeps the hobby growing. Time to get on with my build. I initially planned for a paper panzer but then decided on an oldie -- the artillery observation vehicle based on the Hotchkiss H35. I find it interesting, especially the shape of the upper infrastructure -- makes me want to try a what-if and do a baby Hetzer, probably on another build. Anyways its a pity though that there seems to be only one period pic of this observation vehicle online. Parts count is about 150, and it has vinyl tracks. I have this AM set, labeled for the H39 -- will see if it works with this kit. Review of the instructions indicate a simple, straightforward build. 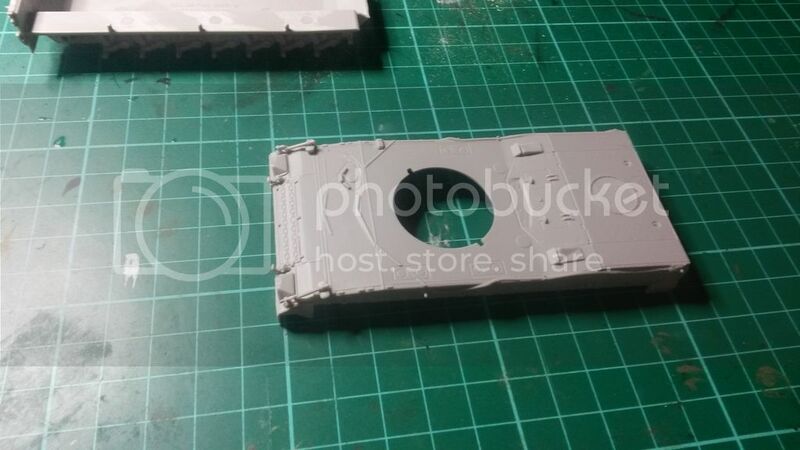 So far my only issue is the label mix-up for parts A30 and A31 -- the plates holding the bogies. Building the bogie / suspension assembly was a bit tricky. For one, the there's no clear indication where the spring should lie, so I left it unglued until all the parts were in place. There's an option to have the bogies rotate but I just glued them on to make life simpler. Took a bit of time getting the bogie sub-assembly aligned with the hull and at the same time sit level on the ground. 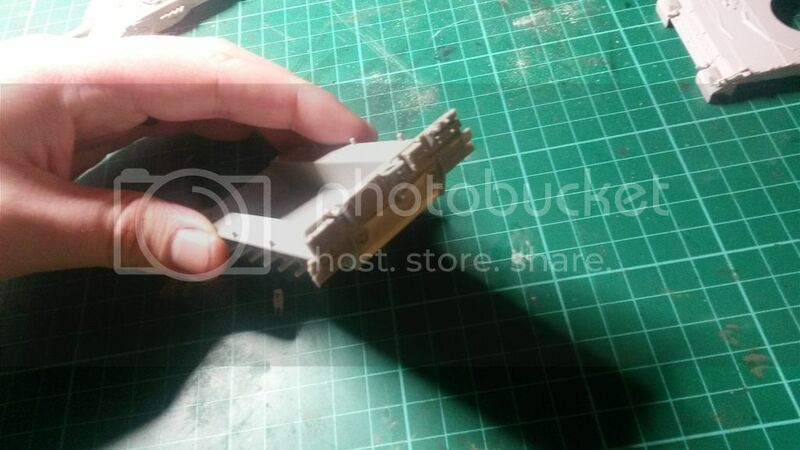 There's a few very basic bits for the interior like seats, transmission / engine block (? ), etc. -- have skipped these given that it would not be be seen anyway. 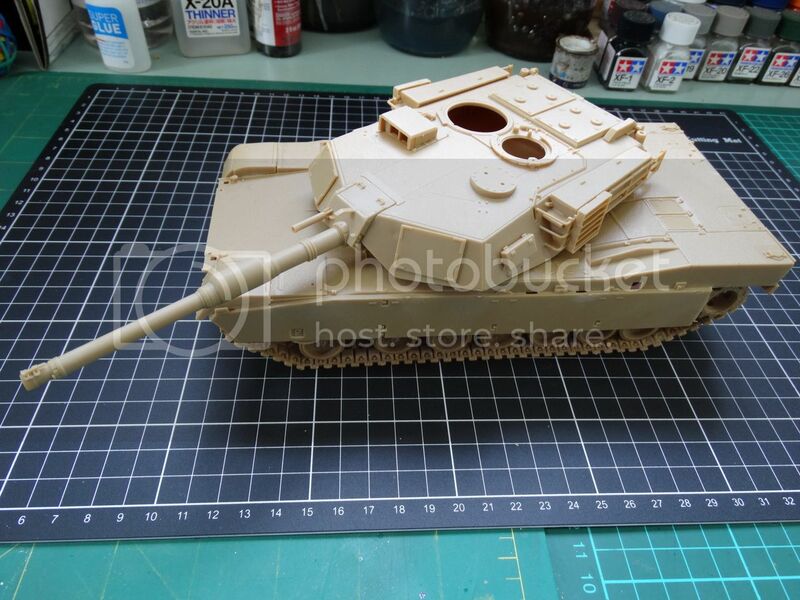 Some great builds going on, made some progress on my Cougar to the point of priming it today. The build has been straight forward. Decided that I am going to give the UN White a go and see if I can get a half decent paint job out of it. Now just have to wait for the weather to dry out. Mark, great start on what is a large vehicle! Dry-fitted the upper structure. Some putty work ahead. 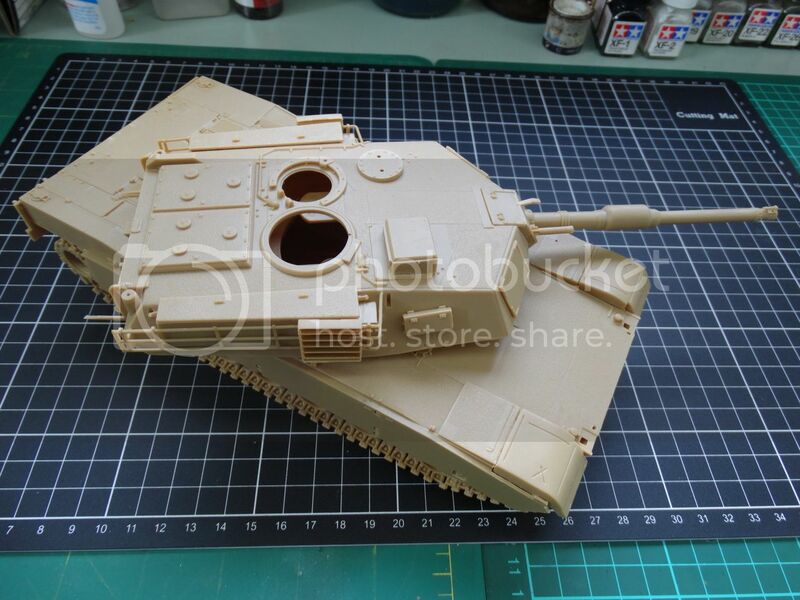 So im at a point now where the c1 ariete its glued and has a black base coat on it atm but im stuck to the point of colour the instructions say a grey green colour but ive heard others using nato green as the colour.. aparantly this tanks colour changes when wet & dry to its shades.. can anyone point me to the right colour please? I'm calling my Cougar done. I originally planned to have a clean model in UN white. I used Vallejo paint and it turned out alright. Then I used an acrylic gloss spray can to prepare it for decals. This is where I learned my first lesson about the differences between acrylic paints. It worked fine with Tamiya paints but it ate into the Vallejo paint|:( So then I decided that instead of stripping the paint and starting over it gave me an opportunity to do my first weathered vehicle. So after seeing some techniques that I had viewed on U Tube, I decided to give the model a dark and dirty wash. This didn't turn out exactly as I planned and then attempted a dusty wash to make it less stark. To finish it off I sprayed a diluted buff coat over it to make it appear as if it was in a dusty desert area for a long time. I think I may have overdone it a bit but I am happy with it for my first weathering process. Looks really good to me, Ron. Maybe add a touch more pigment or buff to your tires so they match the dusty appearance of the vehicle. Overall very convincing from what I can see. Running into some issues with my own build. Based on the recommendation of the local art store I used some kind of blending and glazing medium for my oil wash (the cans of mineral spirits were MUCH larger than I needed), and now three days later I find that it still hasn't dried in the nooks and crannies. Setting things up I forgot to join my own Campaign... geez. Oh well I started last month a JS-4 and a Mig-21 UM. ...Mmhh I'll post some photos during the weekend. After a break I'm getting back in to the swing of things. 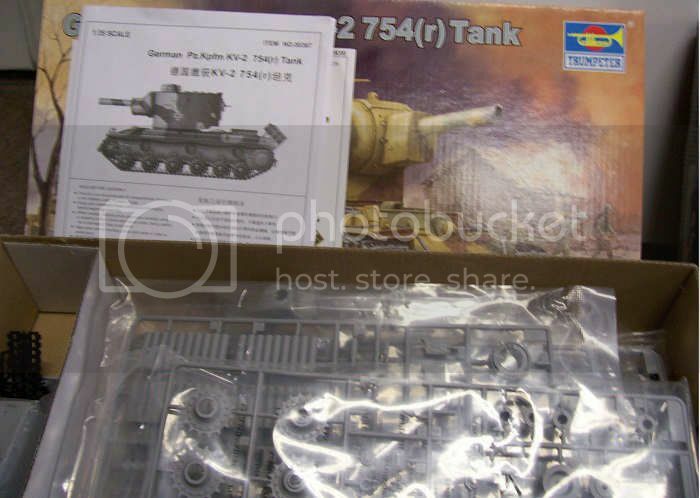 I'll probably do a Trumpy KV-2 with the German cupola and ammo rack. But I was wondering about building a rail bridge around Trumpy's German Railway Track? No rolling stock...just a bridge. I've been building bridges lately. Joe nice job on that Mig, that thing turned out great! I'll just do the German KV-2. 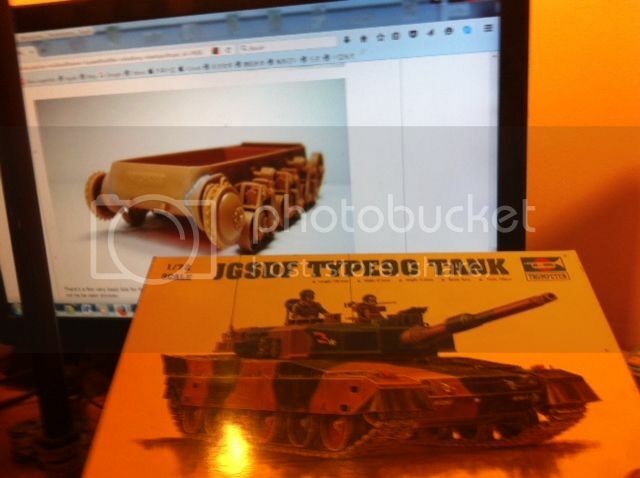 gorgeous job on that Type 96 vehicle, hell yeah! nice job. As a fan of all things JGSDF and JASDF, I can really appreciate this one! Great builds going on. I'm back and ready to get to work. 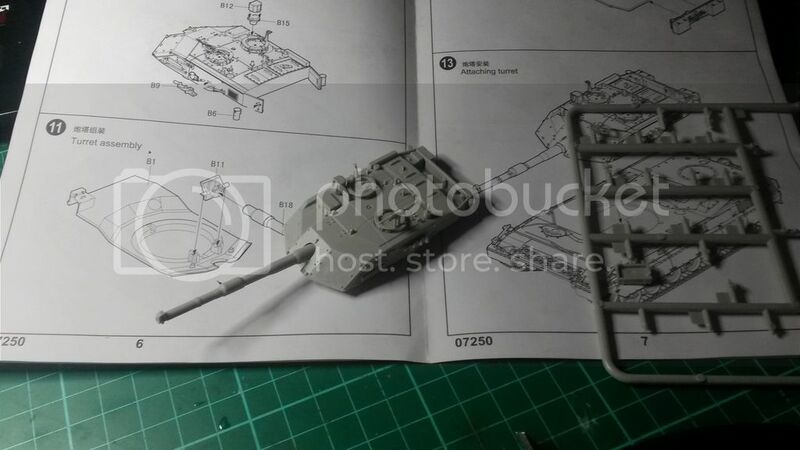 I'll be doing the 1/35 German flagged KV-2. I probably going to build it as a what-if vehicle still under Soviet use but with a 122mm gun and a Soviet styled cupola. I've built a few of these KV kits and am a fan of them. It should be an quick build, but I plan on having some fun with it and steal some "what-if" attention and give it to the Soviets. I'll probably get started perhaps tonight. Looks like a lot of great building has been taking place over the last 2 months while I have been on the road. 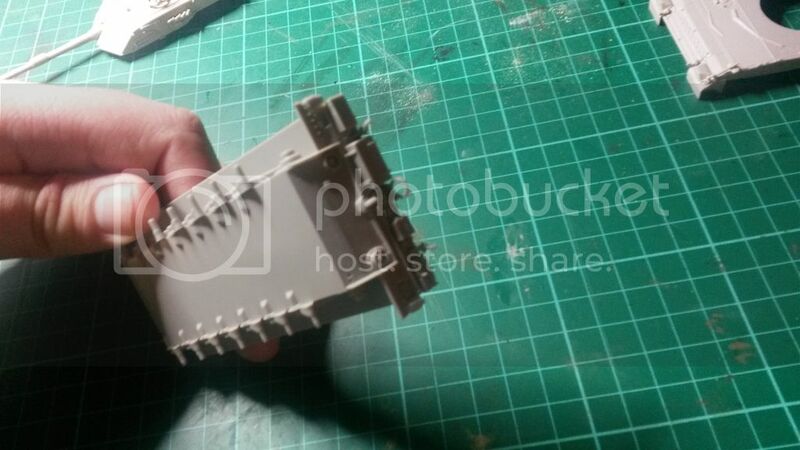 I was able to procure a set of Friulmodel tracks for mt NBFZ build. As soon as I finalize my M163A1 for the "Flak is Back" campaign, which ends Saturday, I will get back to the NBFZ. 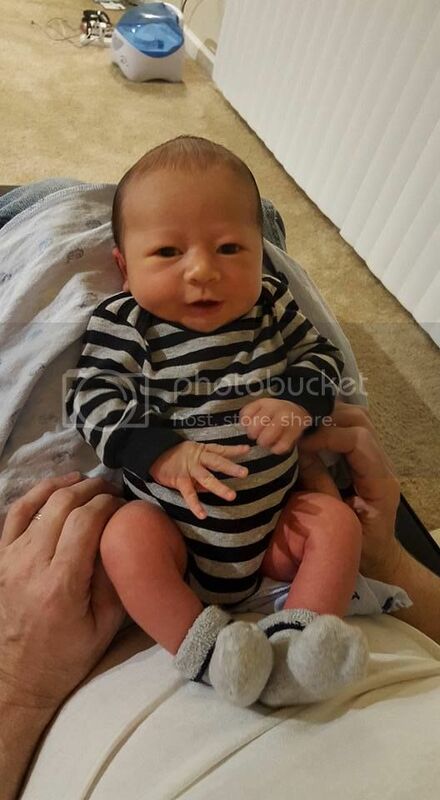 My wife and I traveled to Dedham, MA, in March/April for the birth of our 2nd grandson, Rowan. A week after returning from Dedham we headed out again for El Paso, TX. 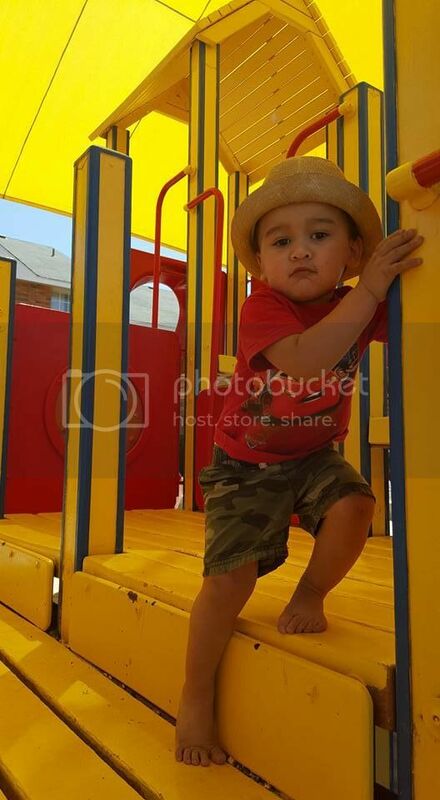 This mission was to take our 1st grandson, Matthew, and his mom back to join my son who had just returned from a deployment to Kuwait. Mina and Matt had been staying with us for the last 10 months. 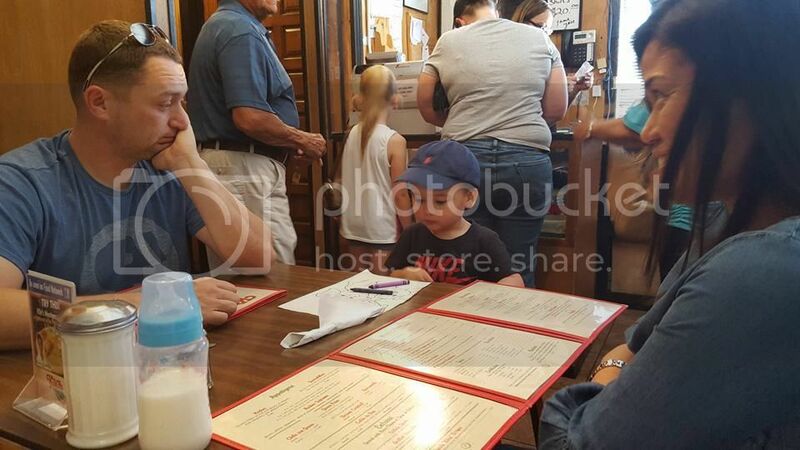 Below is photo of Matt (turns two on July 4) and one of him with his parents. . It is really quiet in the house with just Norma, our dog and me. First time in 36 years! Flak campaign extended until 9 May, Jeff, so take time for a well-earned breather. Outstanding. Thanks for the info. I had not checked the Flak forum...doh! Well looks like this campaign is plodding along at the same pace I have been with this build (totally the opposite to what I wanted, oh well ) Nice work on the MiG, Type 96 and Coyote. some great builds, and congrats on the new addition to the family.